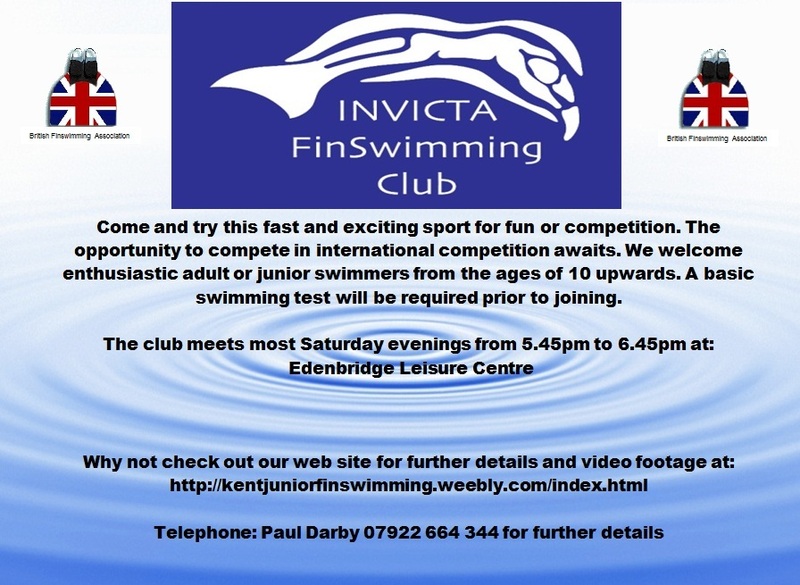 Invicta Finswimming club urgently requires new members of all ages and abilities to further develop the sport of finswimming in Kent. We train at Edenbridge Leisure Centre on Saturday evenings (see training sessions page on this web site). If the numbers cannot be increased we may need to reduce the pool to either a couple of lanes or potentially close the club all together. We are working hard to rectify this but require your assistance to allow the club to thrive again. Please see below our poster information. Please feel free to print it off and advertise locally in your area.